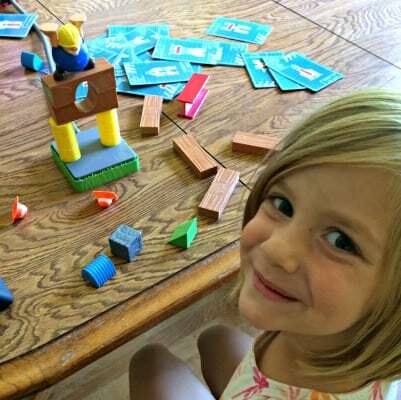 I have one boy and four girls at home, and I’m always on the lookout for games that allow them to play together! My son loves to play with blocks, but my girls do, too. 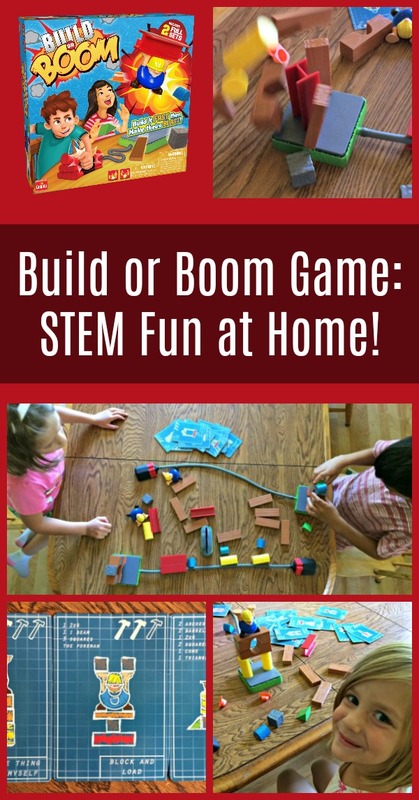 So we were all excited to try out Build or Boom – Goliath’s newest game that lets boys AND girls play. Parents and teachers are learning that it’s important to let boys and girls explore and figure out what they want to be and how they contribute to the world, without gender stereotypes or filters. One AWESOME part of this game is the educational benefits masked as fun! 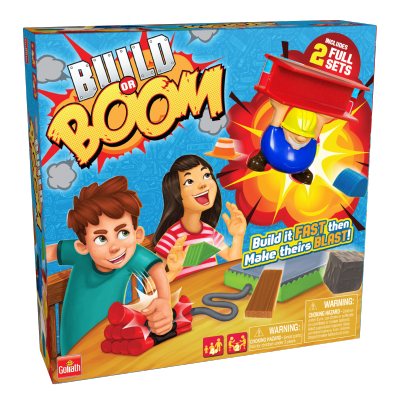 Build or Boom helps reinforce STEM skills such as analytical thinking and shape recognition. In addition, eye-hand coordination and deductive reasoning help build foundational skills. The big boss is looking for the best builders in town! Step in line and see who can be the first to bring the blueprint cards to life. Build your structure carefully but quickly on your platform, then smash your boomer to send your opponent’s structure tumbling. There’s only room for one builder in this town…do you have what it takes? Or will you get boomed on your way to the top? For 2 players, ages 6 and up. If I had one critique it would be that the “boom” aspect of the game is difficult for highly competitive kids like mine. It was frustrating for them to spend time working on something and then have it be destroyed right before their eyes. We will still play this game as my kids enjoy it and I can definitely see the educational aspect of it, but we will probably nix the “boom” part of the game and just have it be a race to see who finishes first, then smash them all together. Transform your photos into unique works of art with Photo Pearls! It’s super easy – all you have to do is upload your favorite photo to the easy-to-use Photo Pearls app to “pearlize” your photo. Then, start assembling your piece of art with the key provided and watch your picture emerge right before your eyes! 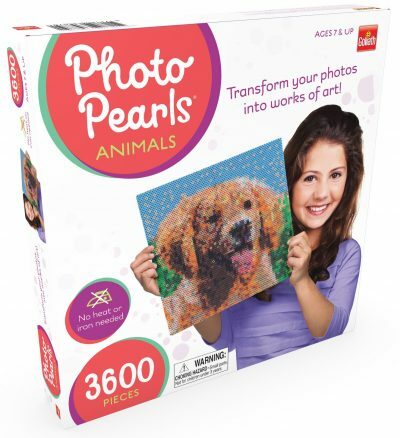 A wonderful alternative to puzzles, Photo Pearls is a great stress reliever that will leave you with a show-stopping piece of art. For ages 7 and up. 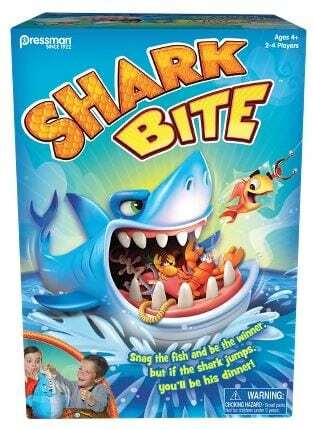 Get ready to have a REEL-y good time when you play Shark Bite! Place the fun and colorful sea creatures into the game unit with a snap, and grab your friends to start playing. Players take turns rolling the die and fishing for the sea creatures using the fishing rods. But watch out – you never know when the shark is going to bite! This battery-free game will have kids hooked at first bite! Made by the o-FISH-cial creators of Let’s Go Fishin’. We love playing games. This looks like a fun game that my grandsons would like. These sound like great educational toys! Perfect for rainy days! 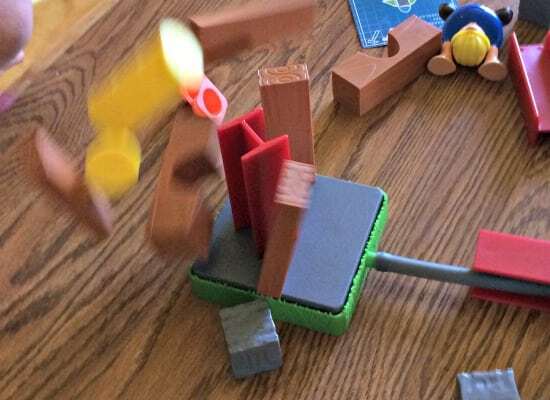 I think my nephew would love playing the Build or Boom game. He likes to destroy stuff. Our family loves to play games together! My grandsons would enjoy Shark Bite! We have Shark Bite. The game is a fun family game. The other games sound like fun. I personally like buying my grandkids games where they can learn while having fun. Build or Boom looks great for us! 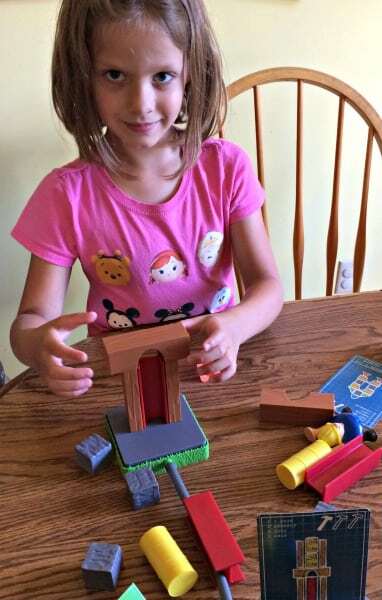 I love that it incorporates STEM skills and hand-eye coordination, which is a skill that my daughter needs to work on. 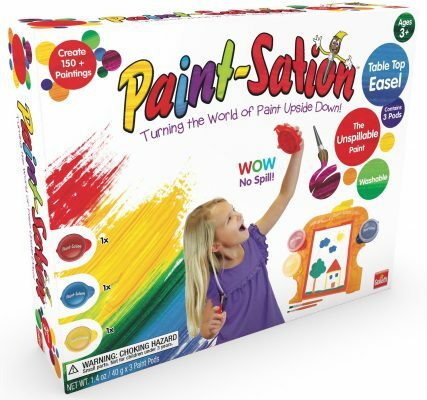 Paint-Sation looks like it would be great for creating art!